This quaint kit was requested by my good friend Quinta, it resembles the inside of a restaurant in Clarks Summit, PA, called Patsels. 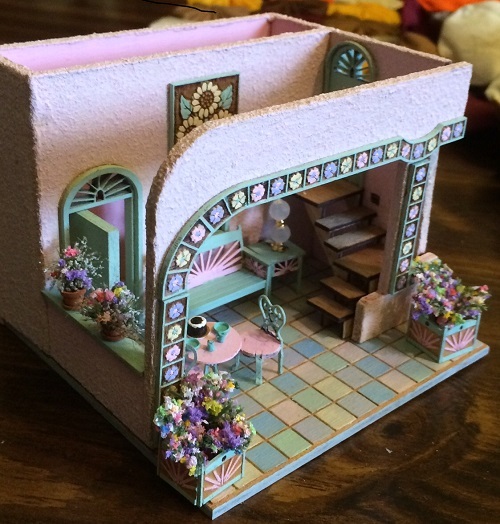 It is quarter scale, and while it is shown with furniture, the kit does not come with any. Some of the Sunflower pieces I have in quarter scale will look great. The floor is etched to look like tile, the outside of the building should be stucco or some medium that gives it that effect. 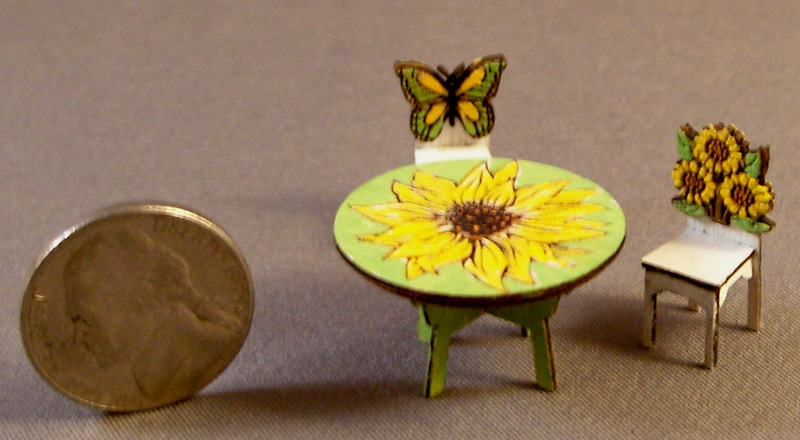 Sunflower table and 2 chairs qtr.